Hard work and a positive attitude are the keys to success, but a little magic doesn’t hurt. You can be the magic in a Cinderella Girl’s life. 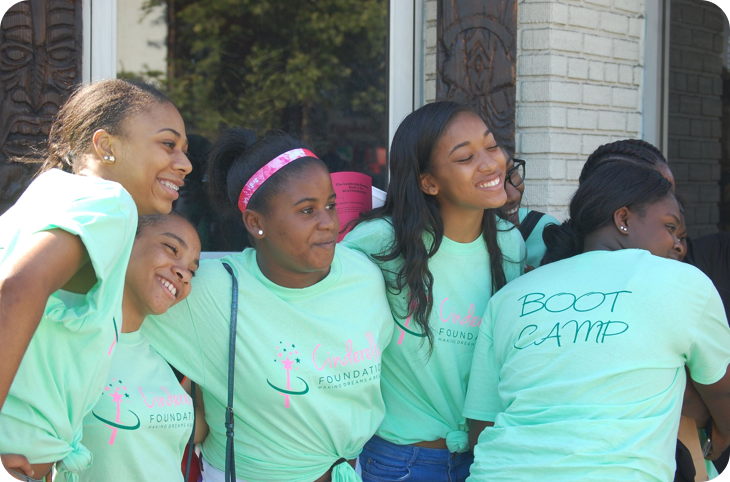 Cinderella Foundation empowers girls of color in the DC Metropolitan area to become community leaders through a robust after school enrichment curriculum geared toward encouraging self-esteem, cultural pride, educational advancement, and an entrepreneurial spirit. 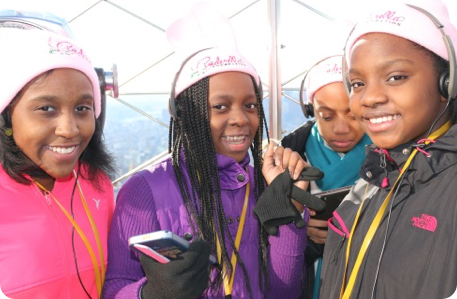 During our 2015 New York City excursion to see the Broadway musical Cinderella, our girls had an opportunity broaden their horizons and enrich their appreciation for the fine arts. Cinderella Foundation’s annual Leadership Boot Camp is a two-day, action-packed camp designed to inspire, educate, and empower our next generation of leaders. The camp features art projects, fitness activities, and inspiring speakers. It also kicks off our summer book club Reading Rocks. Book Camp activities promote self-confidence, cultivate goal-centered drive, and inspire young ladies to pursue their God-given talents. Our hope is that we stir within our Cinderella Girls the desire not only to dream, but to lead. Cinderella Foundation’s signature fundraiser brings together acclaimed fashion and hair designers for a show like no other! All proceeds go to support the Foundation’s mission of empowering young girls through mentorship, academic programming, and self-esteem enhancement initiatives. Give girls in your community the gift of your experience and knowledge. Volunteer to become a Cinderella Foundation mentor. Support the mentors and girls helping to strengthen our community through a donation to Cinderella Foundation.